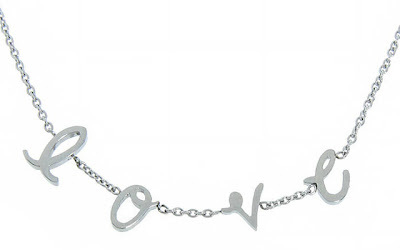 85% off the Stainless Steel Love Station 18" Necklace - Just $11.98 Shipped! This Stainless Steel Love Station 18" Necklace (with 2" extender) is currently selling for just $8.99 on Tanga.com! You will be saving 85% off the listed price of $59.99 with this love necklace deal. Shipping is just $2.99 for this item.